Following on from their critically acclaimed debut, Pick Up, Lift Off, Space, Time, Norway’s Electric Eye are back with their psychedelic, space rock, ready to prove that Different Sun is the a strong contender for the record most worth listening to this year. I hate to be the one that does this, but, think Fat White Family meets Tame Impala and that’s essentially what Different Sun is: a glorious mix of the only two well-known bands that are doing anything intrinsically different right now. 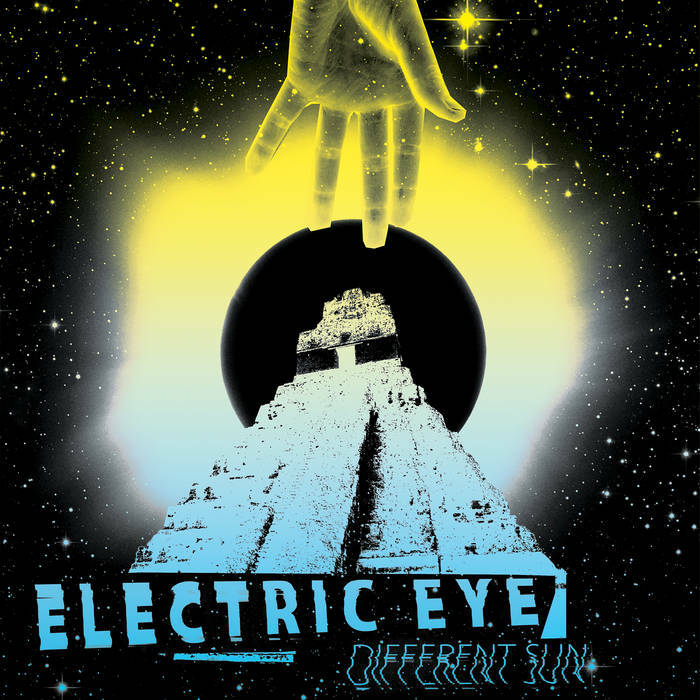 Saturated in psych and fuzz, this latest offering from Electric Eye is an astounding modern day classic that slots the band at the top of the list of groups really worth bothering with. One of the greatest things about this record is that things that shouldn’t work well together, do work – and not only that, they work insanely well; the first two tracks being leading examples of this. ‘Silent By The River’ begins the intense trip with a beautiful introduction to their lo-fi bass and drawling vocals that quickly become a staple feature of every track. As the five-minute belter continues to grow more elements are thrown in, only adding to the value of the track rather than cluttering it like you might expect. ‘All of This Has Happened and Will Happen Again’ reinforces this idea further, as bongos and samples make an appearance, elevating an already exquisite track into something even more exceptional. On top of this the instrumental parts, particularly on ‘Heavy Steps on Desert Floor’, are so divine that there really is no need for vocals, however, the haunting echoes reeling from Øystein Braut add an extra layer of credibility to the song and the band as a whole. Albeit slightly draining at points (I mean, there really is only so much of seven, five to eight minute tracks you can take), Different Sun is a very intelligent album that needs praising for exactly that. It’s an exceptionally powerful record that has the capacity to take you on a journey from the past to the present in less than an hour. There’s no fear, no holding back and no limitations. If there was ever a time to get involved with Electric Eye, the time is now.